Holla friends, I woke up with a smile on my face this morning😀😁🙌. How about you? 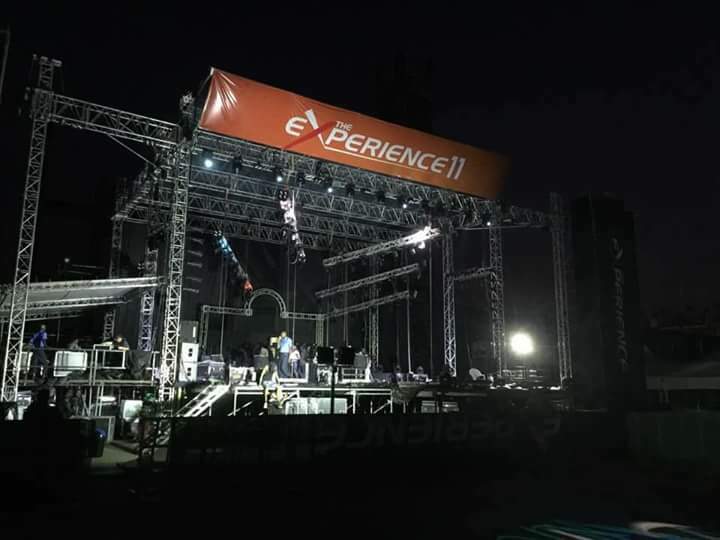 The stage is being set for The Experience. That said, 2016 has been a year of multiple blessings and lessons for me, especially with the commencement of my National Youth Service Corps (NYSC) in April . I’ve met different people, faced new life circumstances and challenges, learnt new ways amongst other things. 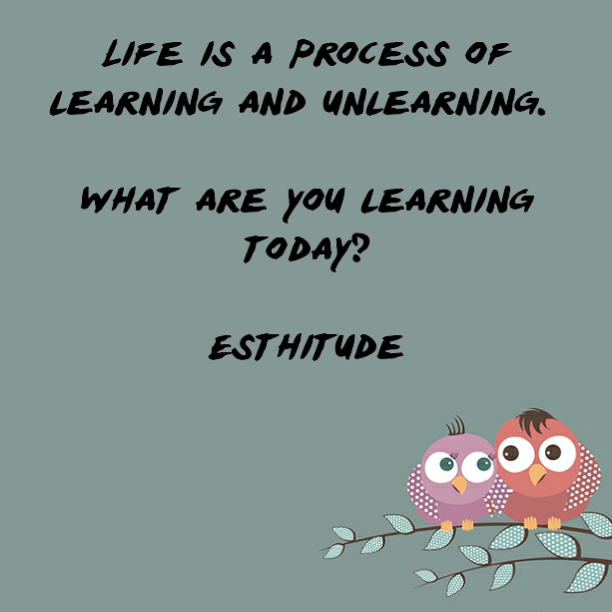 Life is about learning and unlearning, and there are many things that I have learnt and unlearnt this year and this has led to positive mindshift in some areas of my life; another word to describe this is ‘MATURING’, but I think I prefer the word ‘BECOMING’. I’m already looking forward to 2017, but before that, I decided to make December a month to remember, and this is what I’ve come up with (actually, it was impressed on my mind): 31 Days of Value with Esthitude. Anybody as excited as I am? This is going to be a first for me and your support will go a long way. 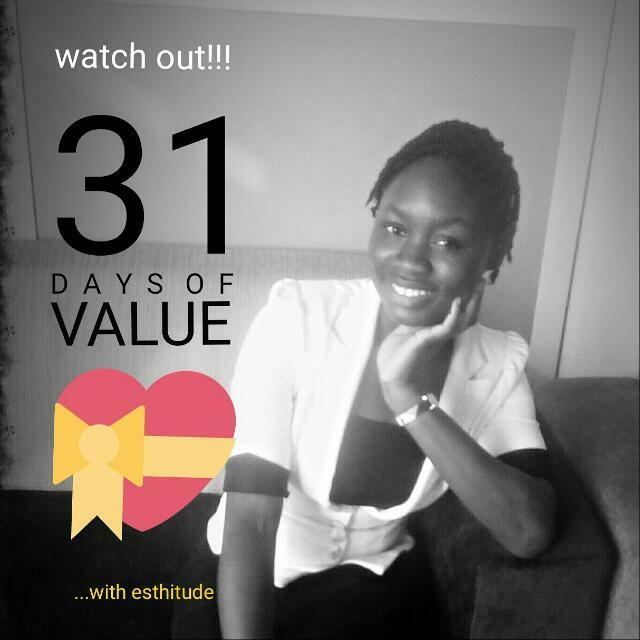 31 Days of Value with Esthitude is just my little way of giving back and adding value. 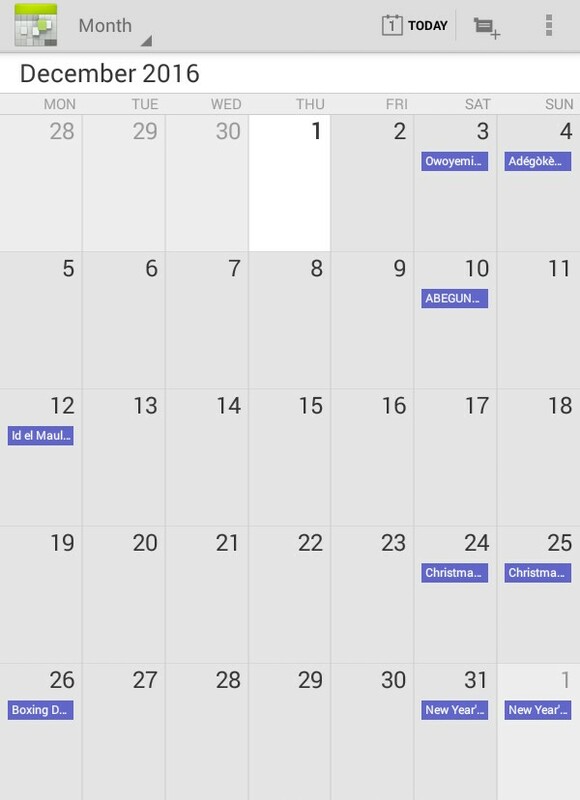 Yea, it is going to be an awesome December and it starts from today. You can follow me on my instagram handle : @da.blessed or via facebook: m.facebook.com/omikunle.esther, for daily updates. I’ll release a blog post about this shortly. At the beginning of November, I shared some of my goals for the month with you (you can check it here) and even though I couldn’t achieve these goals 100%, I made significant progress. 1. Concerning the book I’m reading – The Purpose Driven Life, I’ve gotten to Day 28. I should have gone farther than this, but I fell ill during the month and couldn’t meet up. I’ll definitely complete it this month, and did I tell you that this book is just the it. If you haven’t read it yet, please ensure you get your copy. 2. I was able to achieve more balance this month and even though circumstances wanted to put me off balance, the joy of the Lord has been my strength. This month, I aim to faithfully stick to my 31 Days of Value plan, read up my book and yeah I’m traveling home for the hols… Now you know one of the reasons why I am very excited. How has been your 2016 so far? What one thing do you aim to accomplish before the year wraps up? What one thing do you still wish to happen before this year wraps up? In what way do you plan to give back to your society or help someone this month? I am God's Favorite Girl, Who Are You?